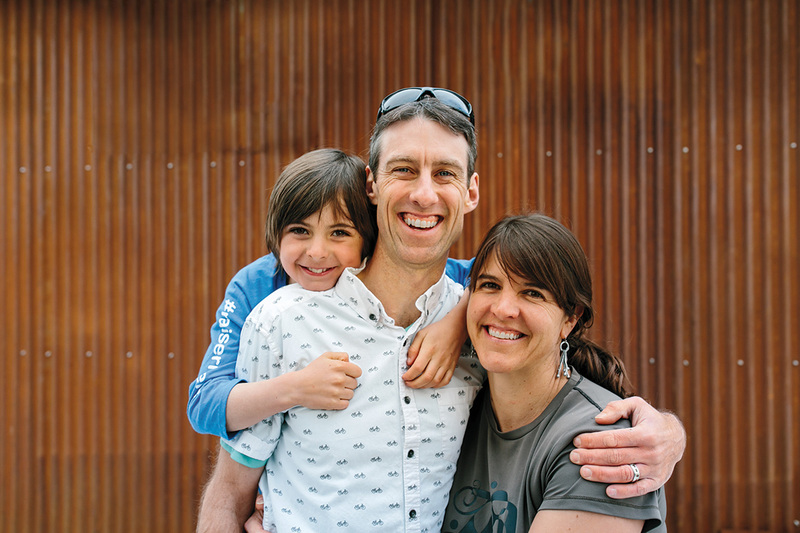 In a world full of illuminated screens, husband and wife Scott and Jannine Fitzgerald want to bring “the power of the bicycle” to your family. The Fitzgeralds owned and operated Fitzgerald’s Bicycles in Jackson and Victor for 14 years, then sold their shop to start Buddy Pegs—a children’s media company that encourages kids and their families to be active together, while also nuturing bicycling’s future generation. Jannine describes their book, B is for Bicycle, as “a bit of a hobby at first.” It started with bike-related limericks the family made up while on vacation. Then their friend, illustrator Kathleen Hanson, began sketching their ideas. Eventually, a Kickstarter campaign brought the book to life. This inspired the Fitzgeralds to leave day-to-day retail work to pursue creative careers in advocacy, in an effort to reach as many kids as possible with their message. They’ve now sold more than 6,000 copies of B is for Bicycle—many of those in nationwide bike shops—and they published their second Kickstarter-funded book, Buddy Pegs: Taking the Lead, in early 2018. But it doesn’t stop there. The Fitzgeralds also expanded into the world of podcasts. 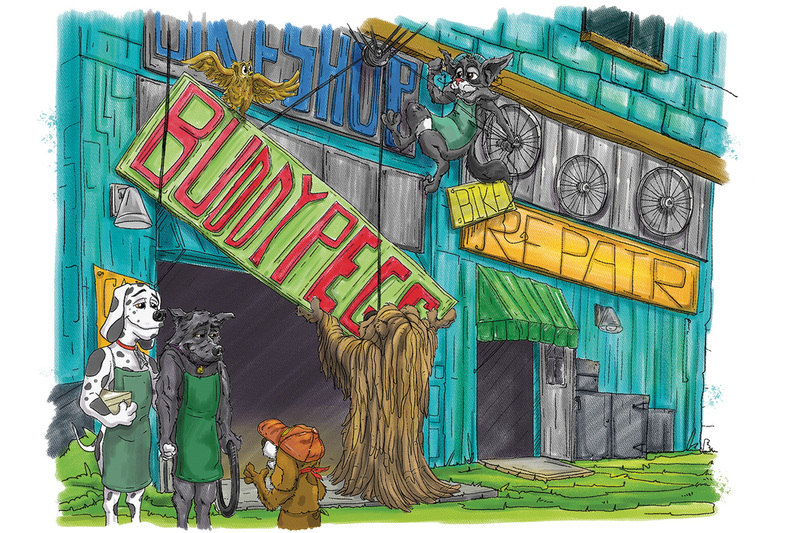 Together, with Jackson-based actor, director, theatrical clown, and playwrite Bob Berkey, Scott writes and acts out audio tales of two dogs who run a bike shop in the makebelieve town of Spokesville. “[Our podcasts] offer an opportunity for families to connect their kids to creative stories,” says Jannine, “and to also buy some time [for themselves] without the guilt of putting their kids in front of a screen.” In addition to old-school storytelling, the podcast sprinkles in interviews conducted by a team of kids, extending the message of the stories into the real world. “Our son, Braden, is always singing when he skis, bikes, or plays ice hockey,” says Jannine. 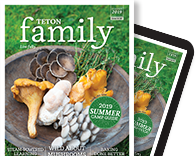 The Fitzgeralds hope to pass on that intrinsic joy—whether a child lives in a mountain town or in an urban area with less opportunity to recreate. Next up in the world of Buddy Pegs: expanding into the education arena with programming and curricula to inspire active lifestyles, and providing tools for families that facilitate outdoor recreation, such as connecting them to local programs and trails. Buddy Pegs creates media that feels personal, homegrown, and just plain fun. 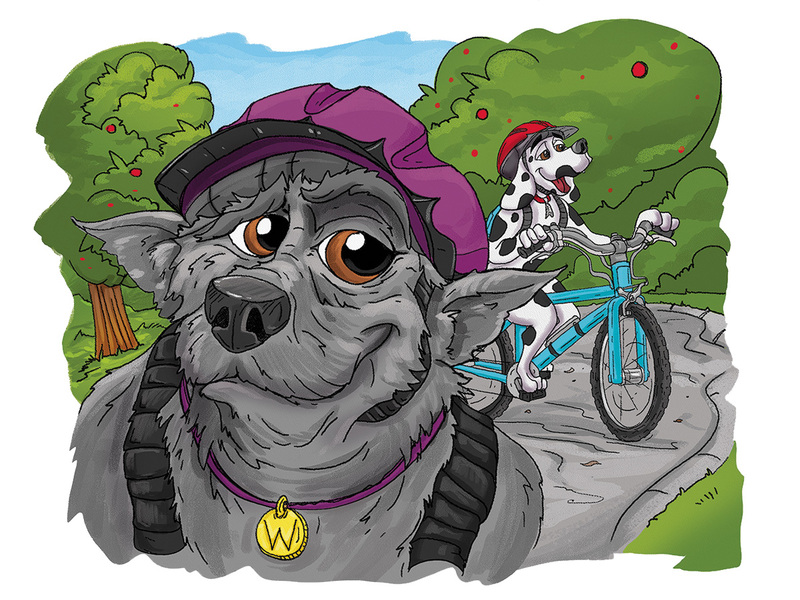 If you want the wind in your hair (under a properly fitted helmet, of course), curl up on the couch with one of their books before checking the tires on your bicycle fleet and heading out for a family ride. Visit buddypegs.com to buy books, listen to the podcast, and peruse branded trucker hats, infant onesies, stickers, and more items for sale.